Do you want to get a leg up on your team-mates fast? 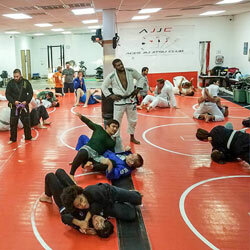 That’s the mission in our Advanced BJJ class also know as our BBLT (Black Belt Leadership Training). 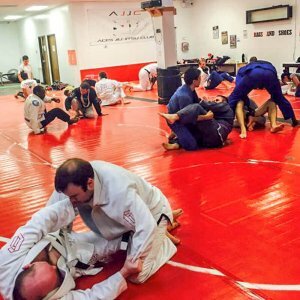 This class is more focused on exploring Brazilian Jiu Jitsu in depth and helping you learn to spar and create your personal game plan. 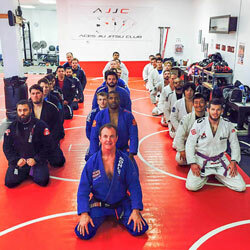 The Advanced BJJ Program is part of the reason Aces Jiu Jitsu Club has won awards for being the #1 Competition Team in Austin. You don’t have to be a competitor or even have a lot of experience for this class but very quickly it will feel like you are. This program will focus on learning the Modern BJJ (Brazilian Jiu Jitsu) techniques that the Head Coach, Mikal Abdullah has become so well known for as he competed and won around the world.